The Store is proud to support local farmers and businesses by selling local organic food, including local wines and beers, ice cream, salsa and chips, as well as other specialty products produced right here in Skagit and Island counties. Offering locally produced products allows us to live up to the commitment of our triple bottom line philosophy of economic, environmental, and community responsibility. By supporting our local community, we help to reduce the environmental impact of product transportation all the while providing our customers with the option of specialty items that are produced within 150 miles of our store. Here are a few highlights of our local products. 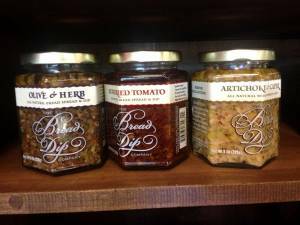 The exciting gourmet Bread Dips! These are Mom’s favorite recipes and what she called her “entertaining essentials.” The Bread Dip Company originated on the beautiful island of San Juan in the Pacific Northwest. 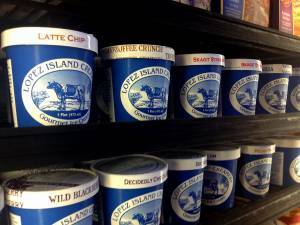 Lopez Island Creamery uses locally sourced ingredients whenever possible. Our cream comes from cows raised in the Pacific Northwest, and our berries are from the nearby Skagit Valley. Experience the smooth, fresh richness of one of the finest treats you’ll ever taste. 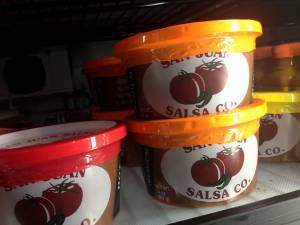 Today, the four partners of San Juan Salsa Co. continue to prepare top quality, freshly made salsas from our kitchen in Arlington, WA. Salsas that are delicious, nutritious and delivered fresh to your local grocers. As always, our Salsas and Tortilla Chips are All Natural, Gluten Free and contain No Trans Fats. 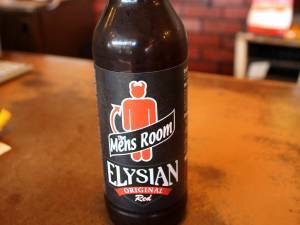 From our very first day, when we poured the beers of each of the breweries we had all worked at in the past alongside our own beer, Elysian has honored the efforts of other brewers and brewing cultures. Uniquely among brewpubs, we have even offered rare German and Belgian beers at our own taps. 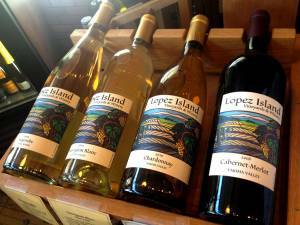 We at Lopez Island Vineyards have selected grapes that are matched to our growing climate. These come from similar regions of northern Europe. These grapes are only grown here in the northwest corner of North America and would not be suited to hotter regions. We feel they have found perfect growing conditions here on Lopez Island.